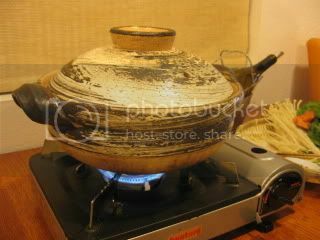 It's in the hight of donabe hot pot sesason right now. 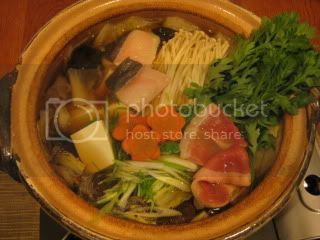 With classic-style donabe, we make so many different (often whimsical) kinds of hot pot dishes, and the most frequently made donabe hot pot dish by far is "Yose-nabe" or hot pot with assorted ingredients. 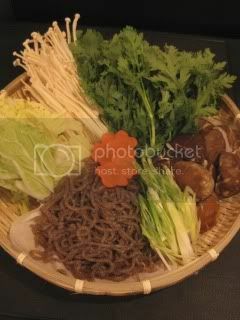 While there is no strict rule about Yose-nabe ingredients, typically yose-nabe has at least one kind of animal protein (often one of seafood fish and meat) and various kinds of vegetables. 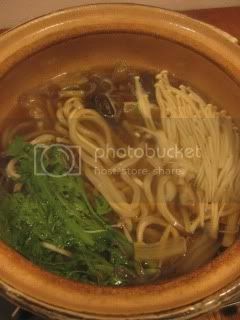 For me, broth is the core of Yose-nabe and it's all about the quality of dashi stock, especially since Yose-nabe broth is typically simply seasoned with only sake, soy sauce, salt, and mirin. I like to keep the seasoning as minimum as possible, because I want to really appreciate the soothing flavor of the dashi stock which was further infused with the ingredients. Adding too much soy sauce, etc. would simply ruin the flavor of the dashi stock. 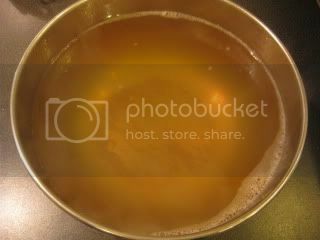 I love making dashi stock and here is how I do. But, if you don't have time or ingredients, you can use high quality tea bag style dashi stock starter. 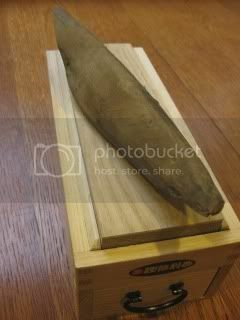 Honkare-bushi is the top category of dry bonito. It's the hardest food in the world, too. I shaved about 2 oz (60 g) of Honkare-bushi to flakes to make dashi with 2L water. It's twice as much amount of bonito flakes compared to regular dashi stock recipe and you might find it's too much, but it actually gives nice extra layer of umami flavor without overpowering your palate. 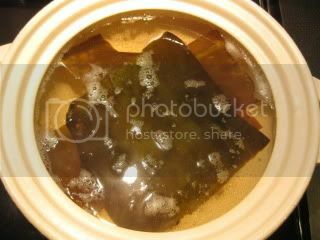 Meanwhile, about 2/3 oz (20 g) dry kelp ("dashi kombu") was low-simmered for almost 1 hour (at a low heat), if you want to save time, you can start with medium-heat and remove the kelp when the water is almost boiling (20-30 minutes). Either way, soaking the kelp in water for a few hours (or at least 30 minutes) before heating is recommended. Once the kelp was removed, turn up the heat to high. 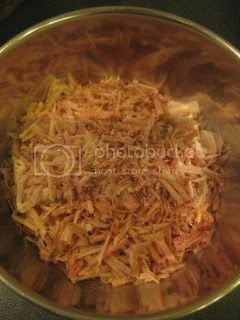 Once the stock is almost boiling, add the bonito flakes all at once and turn off the heat immediately. Let it rest for 2 minutes, then strain through a fine-mesh sieve to a bowl. The aroma was so beautiful that I just wanted to take a bath in it. 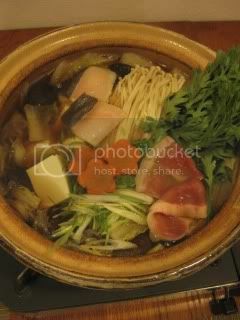 Now that the broth was ready, it was time to cook Yose-nabe with my classic-style donabe, "Hakeme". Ingredents to cook in the broth...some napa cabbage, shirataki noodles (blanched and cut), shiitake mushrooms, enoki mushrooms, carrot, chrysanthemum leaves ("shungiku"), black cod ("gindara"), thinly-sliced scallion, and thinly-sliced kurobuta pork. Cod filets were seasoned with salt, refrigerated for 30 minutes, then pat-dried. In donabe, 1L of dashi stock, 100 ml sake, 2T (30 ml) mirin, 2T (30 ml) light-color soy sauce ("usukuchi shoyu"), and 2/3 to 1 teaspoon of salt are combined. 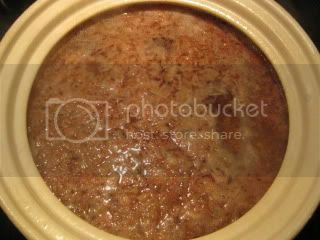 Bottom part of napa cabbage, shirataki noodles, and shiitake mushrooms were added and brought to simmer. 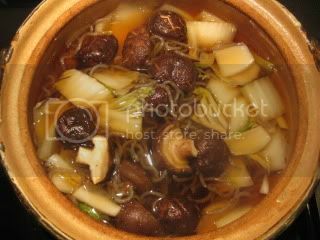 Once the first ingredients are cooked and tender, soft tofu, black cod, carrot, thinly-sliced scallion, and enoki mushrooms were added. After a couple of minutes, chrysanthemum leaves and sliced pork were added. Because the meat was paper-thin, they were picked up once the color turned and enjoyed with the dipping sauce. 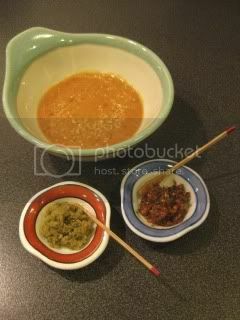 The rest of the ingredients were served with the broth and condiments. The broth got the super soothing nice flavor. 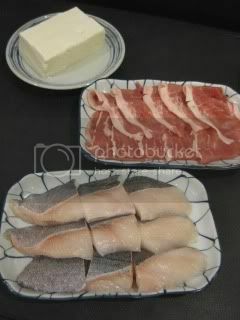 After we cooked and savored most of above ingredients in two batches, it was time to do the finishing ("shime") course. I cooked udon noodles in the remaining broth with some leftover enoki mushrooms and chrysanthemum leaves. 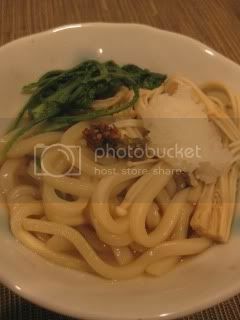 Udon was served with grated daikon, and sliced scallions. Really wonderful.